Fatma Samire, was the daughter of Prince Mehmed Abdulhalim. Members of the Ottoman Dynasty who bore the title “hanım sultan” were the daughters of an Imperial Princess. Princess Nejla was born in Rio de Janeiro, Brazil, where her father was Egypt’s Ambassador. 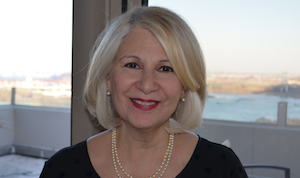 Her first schooling was in Romania where, after Brazil, her father served as Ambassador. The family then moved to Egypt upon her father's retirement where she finished her schooling and attended university. Princess Nejla worked 36 years for the United Nations, retiring as the Assistant to the Chief of Protocol. In the course of her career, she interacted with diplomats and officials from Turkey, as well as diplomats from all over the world. “My mother rarely spoke of her lineage or her past,” Princess Nejla says. Members of the Ottoman family had many heartbreaking stories of their exile. One of the more tragic occurred to Princess Nejla's uncle, her mother’s brother and only sibling, Prince Cengiz. He had worked for the Renault auto factory in Paris during the day, and at night fought as a professional boxer. He died of a concussion suffered during a match at the age of twenty-five. This is the first time Princess Nejla has been interviewed; she answered Cemil Ozyurt, TURKOFAMERICA’s Editor-in-Chief’s questions. I’d like you to tell us about your mother. How do you remember her? My mother, Princess Samire was affectionate, kind, modest, cultured, compassionate, and pragmatic. I am not saying that because she is my mother, if you ask anyone, whether family or friends, they all, without exception, admired and respected her to the utmost. She was very kind to people from all walks of life, the house help adored her, her friends and the family members who knew her, were very devoted to her. She was open minded yet reserved and her thinking was forward looking to the extent that people would come to her for advice. She encouraged me to be independent, hardworking, modest, and appreciative of culture in all its forms. Did she miss her country, or did she get used to the U.S., and its people, rules, etc.? My mother loved New York. She would visit me from Cairo every year, and stay for a couple of months. In New York my mother felt rejuvenated, invigorated and the city satisfied her desire for international culture. She loved the ballet, the concerts and walks in Central Park, as well as the gastronomic variety the city offered. 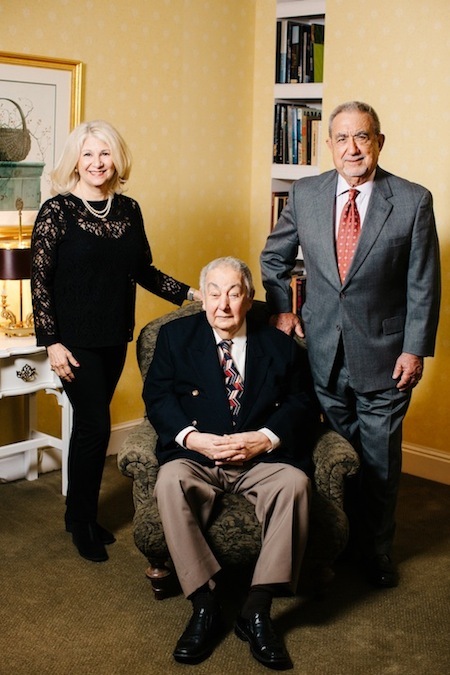 Since I arrived in New York in 1980, my uncle His Imperial Highness Osman Bayezid, the current head of the Ottoman family, and his older brother my late uncle Prince Burhaneddin Cem, were very hospitable to my mother and me, always inviting us to wonderful dinners and outings. 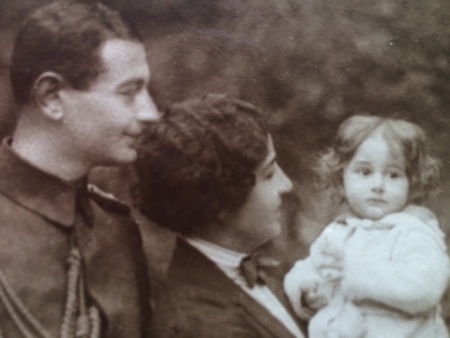 As a child, my mother used to play with both uncle Cem and Bayezid when they lived in France before World War II. Their warm relationship continued throughout their lives. Was she angry at the Turkish Government or did she feel any disappointment? 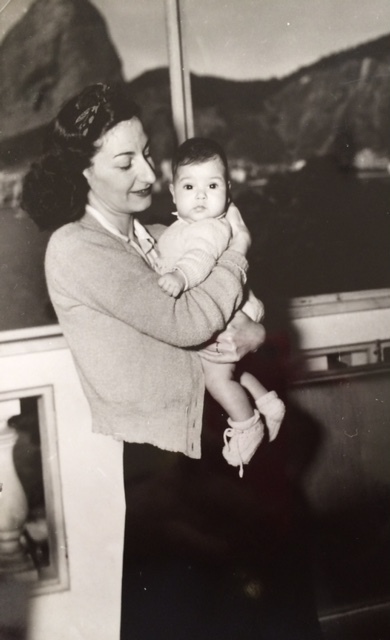 For as long as I can remember, my mother felt she did not belong. She did not belong to Turkey, her birthplace, which she had to leave at an early age. She did not belong to Egypt, which felt foreign to her, even though she lived there for more than thirty years. Her happiest days were her days in exile in the south of France. An early tragedy however was the death of her father Prince Mehmed Abdülhalim when she was five years old. He was the first Imperial Ottoman Prince to die in exile, only ten days after Sultan Vahideddin passed away in San Remo in May of 1926. As the former Sultan and my grandfather had died only days apart, Abdulmecid II’s son Prince Omer Faruk, who was also in exile in the south of France, arranged for both bodies to be sent by ship to Syria, to be buried in Moslem soil, in the Sultan Selim Mosque in Damascus where so many exiled Ottoman royals were to be buried in the decades that followed. 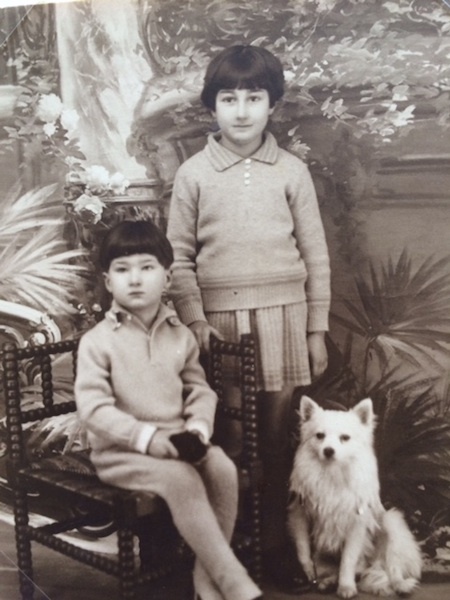 After my grandfather’s death, my mother, my uncle Cengiz, who at the time was only six months old, and my grandmother lived in dire conditions, especially later, during the Second World War. Despite the hardships, my mother identified with French culture; she read French literature, enjoyed French music and later in life always longed for her days in beautiful Nice. Did she talk about exile and did she remember the first days of the exile? Do you know any of her stories from those days? My mother did not talk much about her exile. As a pragmatic person she lived in the present. One of the things I remember her saying: "Turkey is not what it used to be. We were exiled from our country and even the way we Ottomans speak Turkish is different from what the Turks of today speak." 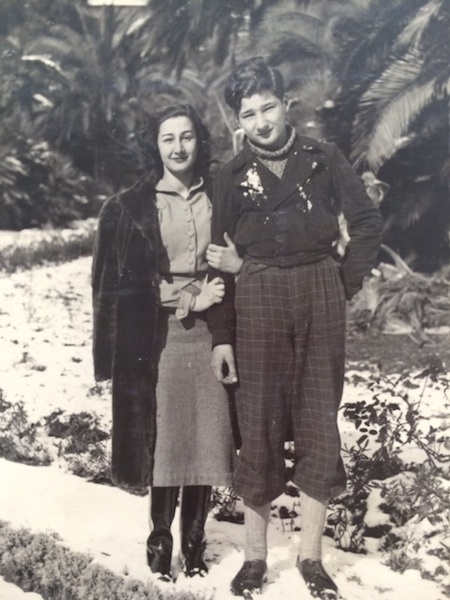 The happy times she experienced in exile in France were also tempered by the sadness of the loss of her brother at an early age during a boxing match and other hardships of the time. For the rest of her life she would hate the sport of boxing. When did she visit Turkey for the first time? When did you visit Turkey for the first time? 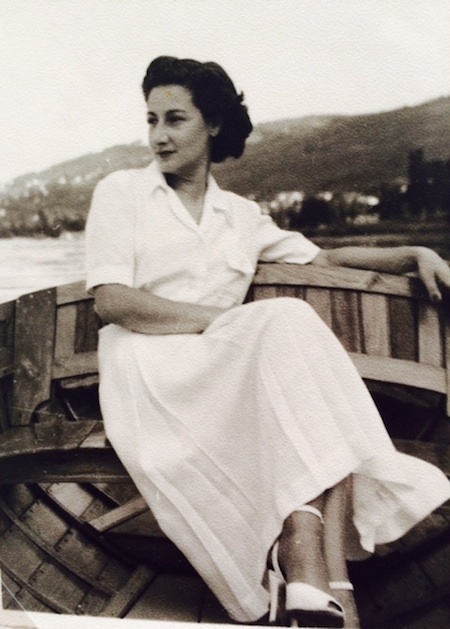 My mother visited Turkey only once, with me, in the early 1960’s. We stayed with Princess Hatice Şükriye, who lived in what seemed to me a palace on top of a hill. During this trip my mother introduced me to many members of the family who she was delighted to see after so many years. I remember that she was asked by journalists to give an interview and only reluctantly did so. I will never forget the wonderful time we had together, visiting enchanting Turkey. Which family members were close to you? In Egypt we had Ottoman relatives who we were close to: Princesses Neslişah and her daughter, Iqbal, Princesses Safvet Neslişah, Şükriye, Mükbile, Selçuk, Necla, Lütfiye, Adile and her son Prince Kubilay. We were also close to Princes Ömer Faruk, Ali Vasib, Mehmed Nazım and his two sons, Princes Ziyaeddin and the late Hassan. To me they were all uncles and aunts and the younger generation, cousins. Unfortunately, eventually, one by one they all left Egypt and so did I, in 1980. How and when did your mother come to the United States? In 1990 my father passed away and around the same time my mother had a stroke. After my father's death my mother came to live with my husband, Jorge García, and myself in New York City, in 1991. She lived with us until her death in January 2000. She is buried in Washington Park Cemetery on Long Island, New York. Could you tell us a little bit about your story? We know that you were born in Rio, Brazil and went to school in Romania. What did you study? My father, Dr. Hussein Chawky, was ambassador of Egypt to Brazil when I was born. I spent the 4 first years of my life in Rio, of which of course I remember nothing; however, my mother told me wonderful stories about the people and the culture of that country, which made me visit later on in life, 3 times. After Brazil, my father was stationed in Romania. My first school was a Romanian school; I spoke Romanian fluently and have kept joyful memories of my 5 years in Bucharest. My father then retired in Cairo. I was enrolled at the Manor House, an English school. I did not know a word of English or Arabic (we spoke French at home) so it was very hard at the beginning, but I soon adapted. I then enrolled, on a full scholarship, at the American University in Cairo and studied Political Science. I have very fond memories of my life in Egypt and have kept many close friends. Egypt is my homeland, but Turkey is and will always remain my motherland. My first job was with the United Nations in Egypt. The UN Mission was set up to oversee the implementation of the peace treaty signed by President Sadat and Prime Minister Begin, to withdraw the Israeli forces from the Sinai. I was stationed in a beautiful town on the Suez Canal called Ismailia. The United Nations Emergency Forces, lasted for five years, after which I left Egypt and joined the United Nations Headquarters in New York in 1980. I was the assistant to the Legal Counsel of the United Nations, during which time I got my Master’s Degree from New York University in Women's Studies. After 17 years in that post I was promoted to the Assistant to the Chief of Protocol of the United Nations. In your UN days, did you work with Turkish missions? How was their reaction when they learned that you are one of the Ottoman family members? I never spoke of my Ottoman heritage when working at the United Nations. Have you ever used your ‘Hanım Sultan’ title? I am very proud of my Ottoman heritage and my title. I speak of my heritage when among family members or when prompted by close friends.